Memorial Day was just beautiful. Ken's folks visited for the weekend and gave Ken and I a chance to get away for the night. When we got back on Monday it was absolutely gorgeous outside. We decided to go hiking, which is something we all love to do. 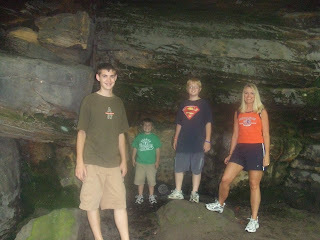 The boys really love the "Ice Box" caves. We have hiked this several times and they never seem to get tired of it. What a great day! We all love the outdoors, especially knowing that we have such long winters that keep us inside more than we prefer. Can't get enough! We had so much fun hiking on Memorial Day. We love to do this as a family and this is just one of our hot spots. 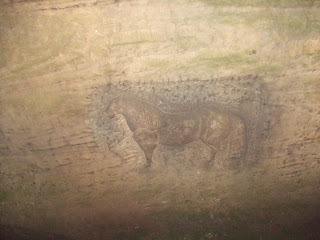 The indians once lived here and this is just one carving the boys found inside the caves. Caleb loves to climb and be adventurous. 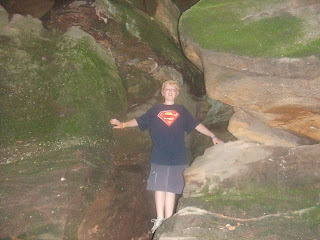 This is Caleb's favorite hiking spot. 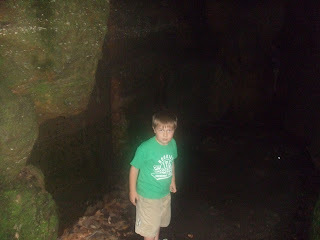 Seth had a blast exploring the "ice box" caves. The temperature drops several degrees when inside. 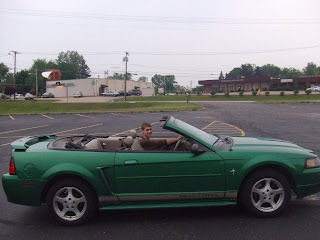 Jacob's dream to own a real mustang. Now if he can get grandpa to agree. I don't know that we have ever seen Jacob smile this long at one time! 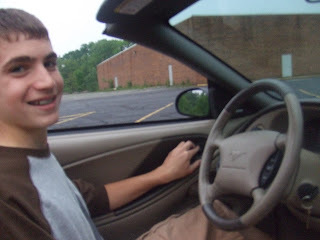 Jacob had his first trial run at driving grandpa's mustang. He is trying to convince grandpa to give it to him for his 16th birthday. 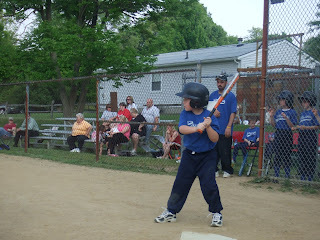 Seth loves his baseball. He is such a natural at it. We love to watch him play. We had an entertaining night watching all the high school students receiving their awards. Here, all the parents came up taking pics of their teens...some things never change! The other night Jacob received his Rotary Scholar Award for maintaining a 3.5 GPA or higher through the year. We are so proud of him and his hard work...we love you, Jacob! Here is my baby. He has such a personality! He is always a bundle of energy....I can't believe he is getting ready for 2nd grade...keep smiling Seth! Jacob is starting to look so much like dad. He is almost as tall as Ken, and his feet have surpassed Ken's. It is hard to believe my baby will graduate high school in 3 years! Yikes! Caleb decided he wanted to dye his hair blonde, well..I should say a lighter blonde, and is letting his hair grow out longer than his usual. As you can see he loves to be different. 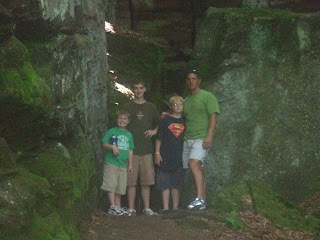 Jacob, Caleb, Seth...thank you for being the best boys a mom and dad could ask for...we love you! 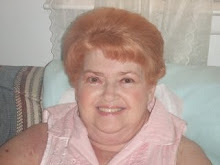 Ken and the boys out did themselves pampering me the whole weekend for Mother's Day...they're the Best! The boys treated me to the best weekend of hiking, dinner, and shopping...oh, and lots of hugs and kisses! The kids love his crazy sense of humor! Ken doing a children's moment on Family Sunday at church.